Compatible with Horseware Liner System. Fill Available: Lite (No Fill ), Semi-Lite (100g), Medium(200g), Heavy (350g). This listing is for the Lite Fill. Please see the first set of related products for the other fills for this blanket. If you want to keep your horse well covered without breaking the bank, you will love the Amigo Bravo Turnout Rug from Horseware Ireland. 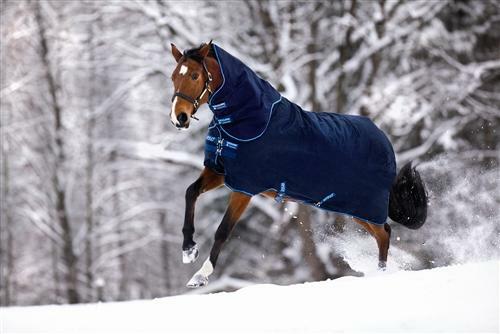 This fabulous blanket/rug has all the features you would expect from a blanket/rug in this price range but with that little extra that comes from being a member of the Horseware Family. 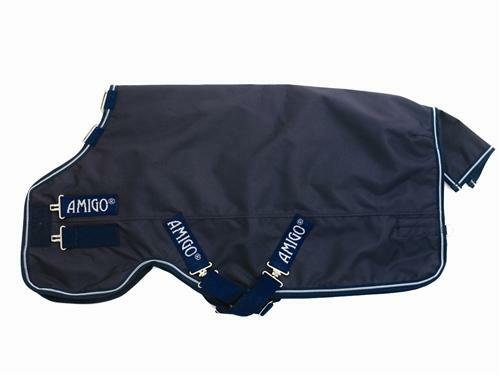 A patented Front Leg Arch which allows the Amigo to be wrapped deeper around the horse's shape to give that extra coverage and protection from the elements. The Amigo Turnouts are Waterproof and Breathable with taped seams and a breathable polishing polyester lining and made from tough 1200 denier Polyester you will find it hard to beat! The Amigo Turnouts have the option of an easy fix hood to match all colors in the range. 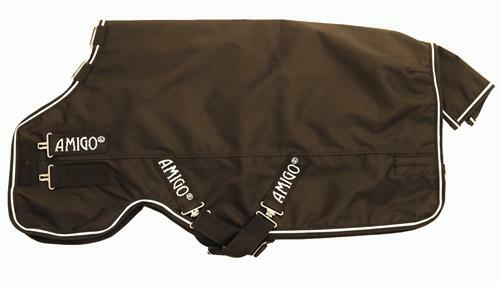 Also made from a 1200 denier Polyester with no fill, the Amigo Hood gives the flexibility to adjust the Amigo Turnouts to Head to Tail protection according to your horse's requirements. 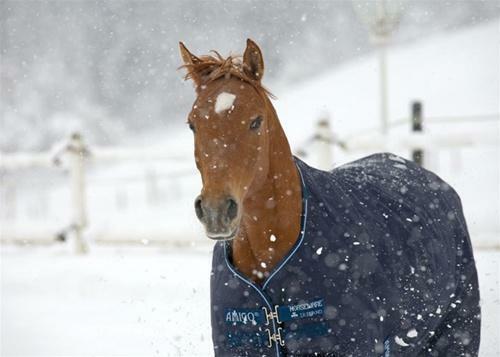 Plus if all of this isn't enough, this blanket is also compatible with the horseware lining system. You can purchase a liner of 100g, 200g, 300g, or 400g to add or decrease for just the right amount of protection for changing weather climates. Please note different colors are available for different fills.